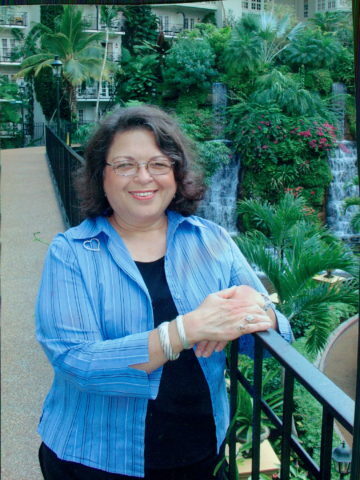 Mrs. Elsa Linda Benbow, age 73, of Hendersonville, passed away March 28, 2019 at Vanderbilt University Medical Center. She was born on June 12, 1945 to the late Joaquin and Elvira Vela. Linda is also preceded in death by two brothers, Jack and Richard Vela. Linda is survived by her husband of 54 years, John F. Benbow; children, Michelle (Evert) Mobbs, John D. Benbow, Bruce (Debbie) Benbow, and Sheri (Jason) Beres; grandchildren, Bo (Kelsey), Brandon, Nathan, Jacob, and Siena; one great grandchild, Lennon and another on the way; and one sister, Vilma Morkus. Linda loved her family with all her heart and soul. She gave all she had to the ones she loved. She was adored by her husband who made sure she had everything a woman needed in a partnership, but most importantly the love of her life. She had 4 children that are truly blessed to call her their mother. She was especially fond of her grandchildren; her greatest gift was having the title, Granny. She was one of the most creative people you would ever meet. Her creative talent ran the gamut from cooking, quilting and sewing to ceramics and making porcelain dolls. She was the love of her family’s life; no greater woman exist in their eyes. She was truly an amazing wife, mother, granny, and friend who will be truly missed. A life celebration will be held at 11am, Tuesday, April 2nd at Hendersonville Funeral Home. Family will receive friends from 4-8pm on Monday and again one hour prior to the service on Tuesday. We loved Linda. We have so many nice memories from years past. Was so happy Nick and I were able to come back to Hendersonville last year to see her and John after so many years being away. Nick and I send our love and deepest sympathy to her family. As long as we have been friends we never expect something like this to happen. You and your family are in our hearts and we will keep you in our prayers. We love you John and kids. Linda was one of the kindest, most gentle and generous persons that we have ever met. She was so deeply loved. But the most outstanding thing about Linda was her faith and love of her God Jehovah. And until the limitations from her illness, she was devoted daily in her worship of Him. Her fine example of spiritual things touched many lives. A resurrection Hope was always planted firmly in her heart. John 5:28, 29. Our love and prayers go to John and her children. Carolyn and I enjoyed many nice visits with Linda and John at their home. We learned Linda enjoyed doing word puzzles and we shared a Bible passage about prayer at each visit. Linda maintained a deep appreciation for God’s Word and was always pleasant, in spite of her health condition. Our prayer for her is that she is now at peace until our God, Jehovah restores her to life in his earthly paradise and reunites her with all her loving friends. One of the kindest and sweetest person you would ever meet. Her love of family, friends and Jehovah’s good earth was always apparent in her heart, speech and actions. With a promise in the Bible of much better life in store, we can’t wait to see her again as promised in Revelation 21:3,4. I have many good memories with her and my mom together! She was a nice and lovely lady! May she RIP..
Linda an amazing person. I have always held you in high regard. Although it’s been awhile I loved your family. The kids we’re always in my thoughts. Proud to have been your sister-in- law. To the family stay strong and remember we’re praying for you. We have such warm and happy memories of Linda! Such a sweet and loving person, always smiling. I loved her laugh. My mom Nance and I loved serving Jehovah God together with her. We look forward to seeing her and hearing her laugh again in God’s promised paradise on earth, Job 14:14,15. Much love for you John and family.